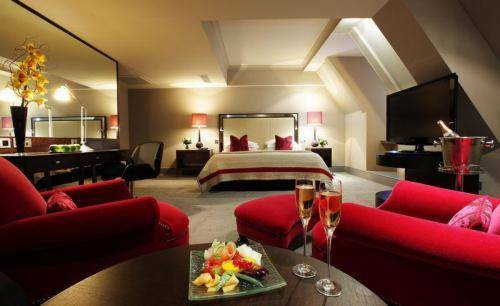 The best hotels in Bloomsbury enable you to explore an elegant, yet often unexplored part of town. Though it's home to the British Museum, Bloomsbury is something of an unknown quantity for many visitors and even Londoners; take time to explore its tucked-away back streets and you’ll be rewarded with quiet garden squares and elegant Georgian buildings right in the heart of Zone 1. It’s a good area for restaurants too: head along Marchmont Street for a selection of interesting independents – the Marquis Cornwallis is a top-notch gastropub – or to the adjacent Brunswick Centre for high-end chain restaurants and the Curzon arthouse cinema, all housed in an arresting 1960s development. 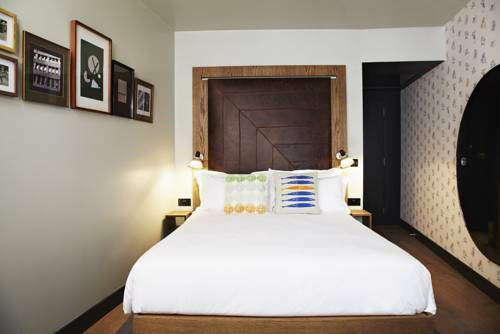 Here's our pick of the best hotels in Bloomsbury. If you’re looking to really immerse yourself in the refined Bloomsbury experience, then this upscale pad might be just the thing. The Edwin Lutyens-designed neo-Georgian building houses 153 rooms that blend luxurious textiles and classic British furniture with high-tech mod cons such as Nespresso coffee machines, iPod docking stations and heated floors in the Italian marble bathrooms. The Bloomsbury Club Bar celebrates the golden age of cocktails, in line with the 1920s/30s emphasis throughout, while the Dalloway Terrace is a relaxing spot for afternoon tea. Located in an old police station towards the King’s Cross end of Bloomsbury, the Generator is a good option for those on handcuffed budgets. 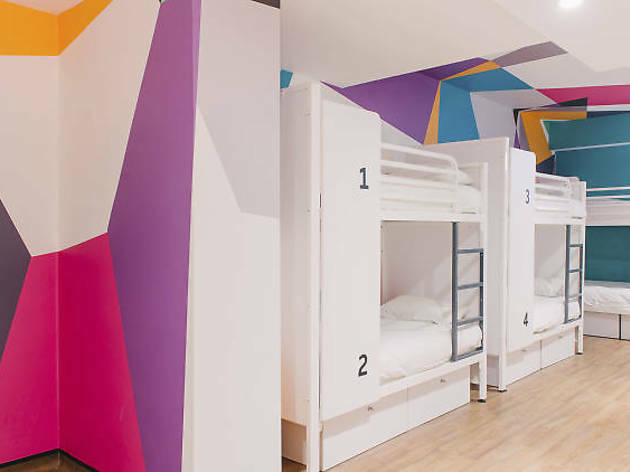 The hostel has been part of a refit of the global chain, creating colourful dorms from £19 per night, as well as private rooms for around £70, and adding an in-house cinema and individual room lockers (to be fastened with your own padlock). 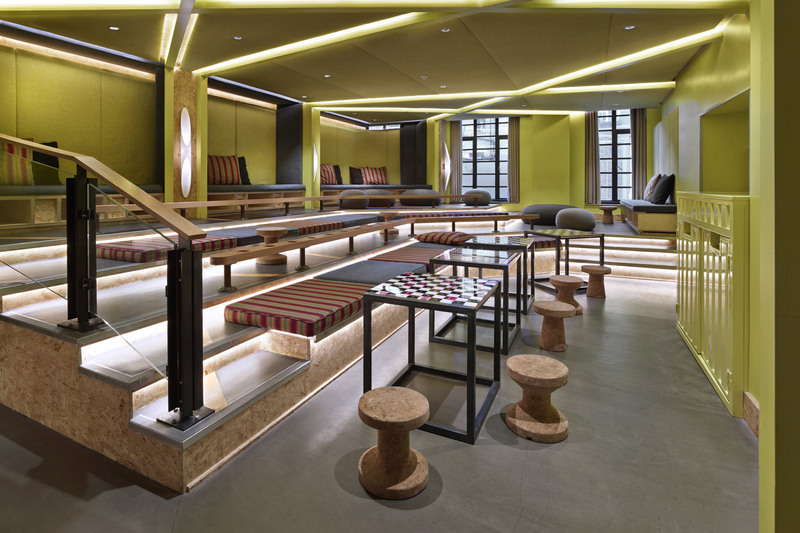 There’s free wifi throughout, plus an urban-chic lounge that hosts regular gigs and DJs. The laundry, luggage store and hotel-style reception are all open 24/7. Located on the border of Bloomsbury and Holborn, this offshoot of Hoxton Shoreditch may be surrounded by office buildings, but it’s just a short stroll from the tranquility of Bloomsbury, the British Museum and the shops of Covent Garden. The 174 rooms come in four different sizes: Shoebox (around 14 sq m), Snug (slightly bigger), Cosy (18 sq m) and Roomy (23 sq m). Free wifi and added extras like fresh milk and a daily breakfast bag make this a pleasurable experience all round. 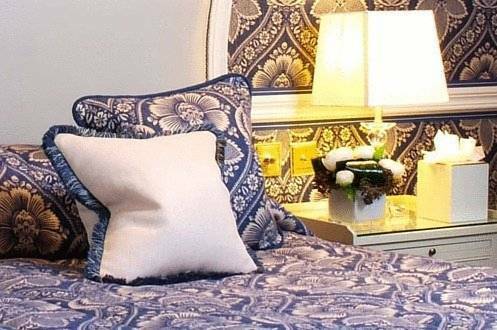 This family-owned Bloomsbury B&B, located between St Pancras International and the British Museum, is set in three Grade II-listed townhouses on a classic Georgian crescent. 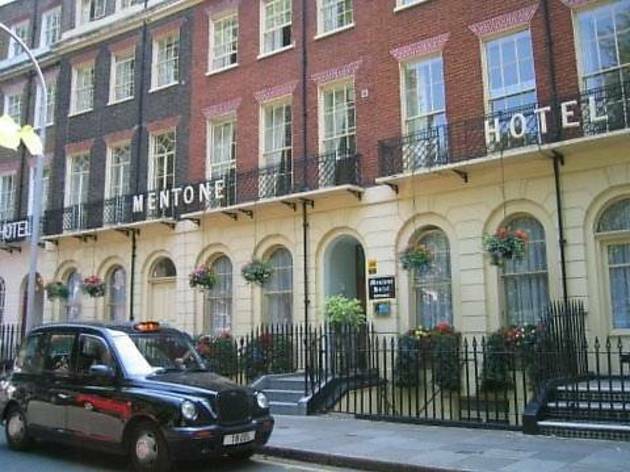 The basic rooms have free wifi, high ceilings, en suite bathrooms and rather uninspiring furnishings, but the views of the tree-lined square outside (housing tennis courts, which guests have access to) make it stand out from the raft of other Bloomsbury hotels and B&Bs in similar buildings. 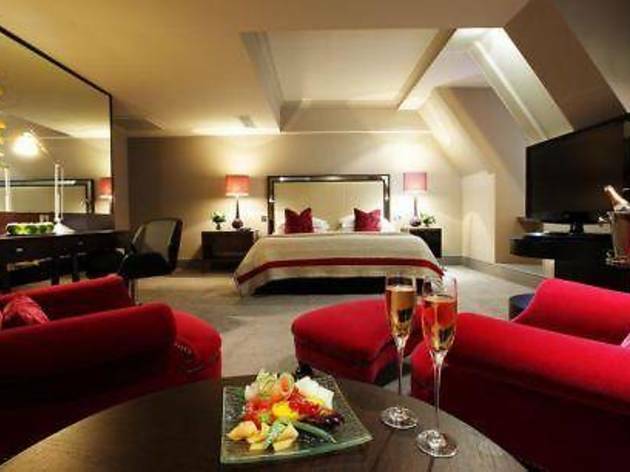 Myhotel Bloomsbury is perfectly situated for those who want to experience genteel Bloomsbury, yet still be close to the bustle and restaurants of Fitzrovia and Soho. 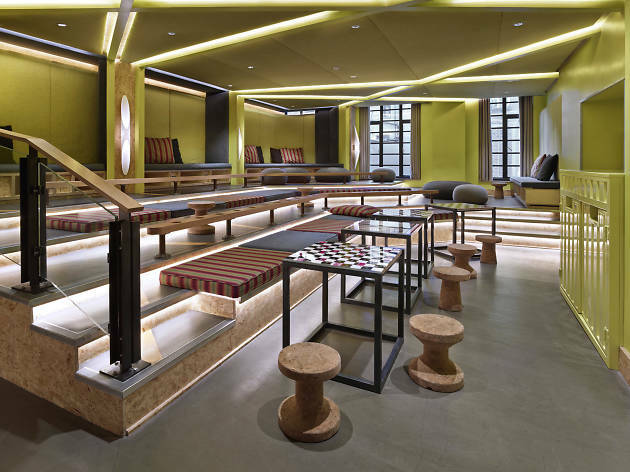 Though the 86 rooms were designed according to feng shui principles, the Asian design touches that the boutique chain was once known for have been replaced by a retro-inspired contemporary style that’s as calming as it is stylish. Some rooms have been designed in collaboration with iconic furniture store Heals, a ten minute walk away. There’s a spa treatment room in the basement while food comes from upscale artisan bakery/kitchen Gail’s. 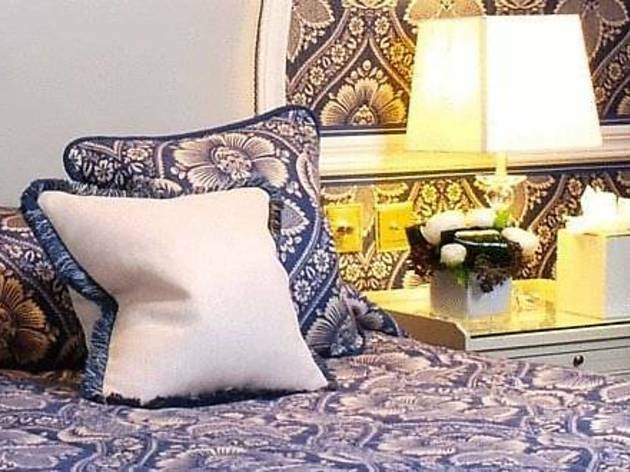 Set in a Georgian townhouse on a classic Bloomsbury street, this four-star hotel is for those after a similarly classic interior; patterned carpets, strong colours and luxurious drapes are in abundance in the 88 individually designed rooms (all with free wifi). The hotel is known for its traditional afternoon teas, but the Leopard Bar and Cigar Lounge is equally notable, so-named for its hard-to-ignore leopard-skin wall coverings. Handy for both the British Museum and Russell Square. 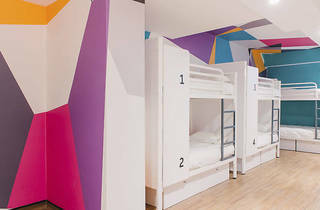 This hostel – one of four Astor hostels in the capital – is set within two adjoining Georgian buildings on a classic Bloomsbury street between Russell Square and Holborn tube. Its dorm rooms, which sleep four to 16 people, are simply styled with red metal bunks and eggshell-blue walls; female-only dorms are available, while the private rooms are in the adjacent building. Shared spaces – all with free wifi – include a bright kitchen/dining area, a comfy lounge and an outdoor terrace. Overlooking the green walkways of Russell Square – a Bloomsbury focal point – this long-standing hotel provides a taste of a past England (the name says it all). The rooms won’t win any design awards, with classic, patterned carpets and cream walls, but this is one of the few three-star hotels in an area where four-stars and hostels dominate. What’s more, there’s free wifi and complimentary breakfast (Full English or Continental), as well as three bars and a stylish café. It’s handy for the British Museum and the Piccadilly line too. 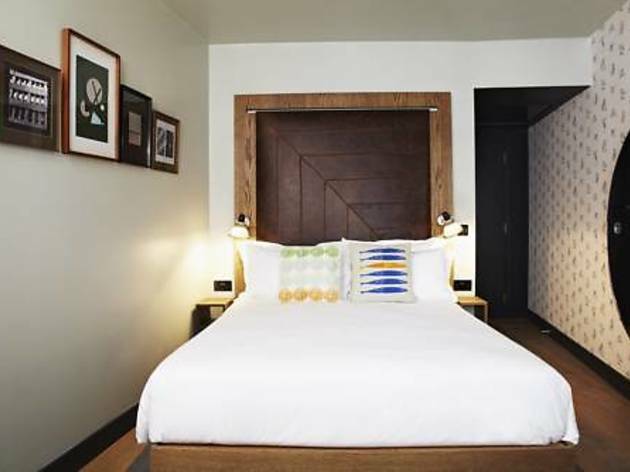 Situated on a quiet Bloomsbury street very close to Russell Square and the British Museum, this four-star hotel combines modern design with refined elegance in an understated way. A fair number of the 46 light and pleasant guestrooms have garden views; all have marble bathrooms, free wifi and flat screen TVs. The complimentary buffet breakfast is served in the in-house restaurant, and there’s a lobby bar where you can take afternoon tea – or enjoy it in the garden terrace during summer months. This lively gastropub with rooms – on a residential Bloomsbury street that’s less than ten minutes from King’s Cross station – is a good antidote to the large chains or the more staid Bloomsbury alternatives. There’s a regular roster of comedy and live music acts (with the focus on folk and bluegrass) which end before 11pm, when the pub closes. Two floors up, the four en suite rooms (three doubles, one triple) are simply furnished but light and airy, and free wifi is included, as well as toiletries and a Full English breakfast, which you can opt to have in your room.